Enclave Development is putting forth the effort outside of work to help make an impact in local neighborhoods, by making it their goal to volunteer as a team, quarterly. Enclave takes pride in building places our community strives to live, work, and play. Each quarter, Enclave Development will make it their mission to actively volunteer. They understand how small businesses can impact hundreds and thousands of lives throughout the community, whether it be at work, or through volunteer efforts. “Our employees are what make our company so great. They not only give 100 percent to their jobs, but they also offer their time and support to our community. We understand the importance of supporting Fargo’s growth, whether it be building places our community members love to spend their time, or supporting those who might need a little extra help. Fargo is a wonderful place to live, we want that to show.” said Enclave Owner, Austin Morris. 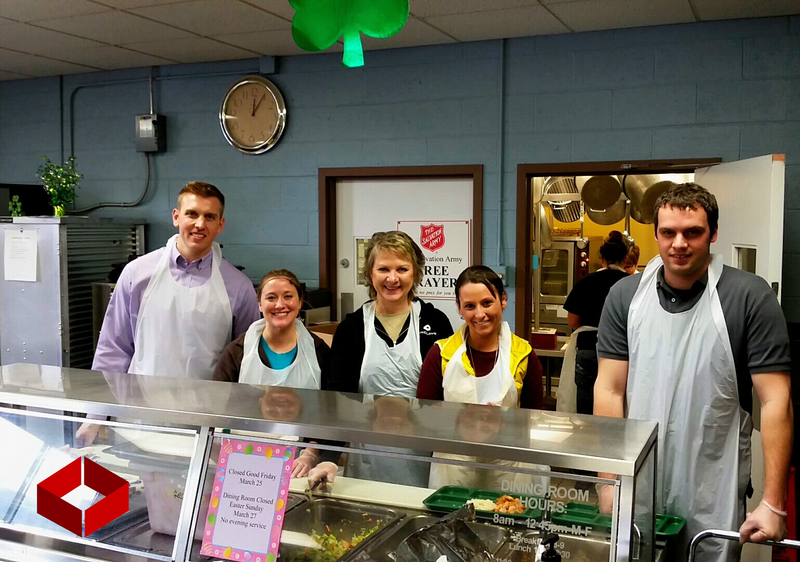 In most recent volunteer efforts, the Enclave team members spent their lunch break serving food for the Salvation Army’s hot meal program, created to support and feed those who have come upon hard times. Enclave began with a group of real estate, development, and construction experts who came together to create a full service development and construction firm, honed to provide clients with a smooth experience by working with them from idea, to planning, to completion. Enclave works to please community members, and be your top choice builder. Visit http://www.enclavecompanies.com.